Lincoln Center has been bustling the past two weeks with Fashion Week but is now settling back into the more typical cultural offerings of Music, Ballet, Opera and Plays. 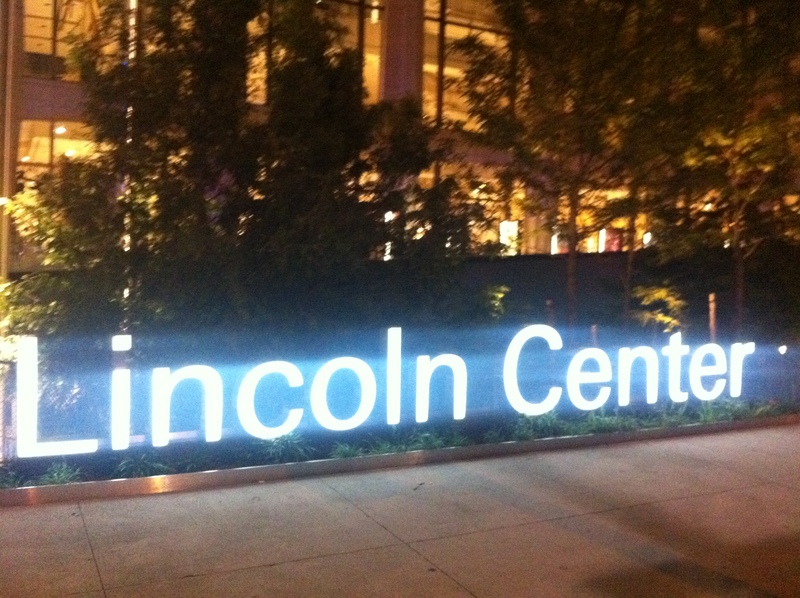 Even if you’re not planning to attend one of the many performances, it is worth a visit to experience the interesting architecture and the beauty and serenity of the newly renovated Lincoln Center Plaza. 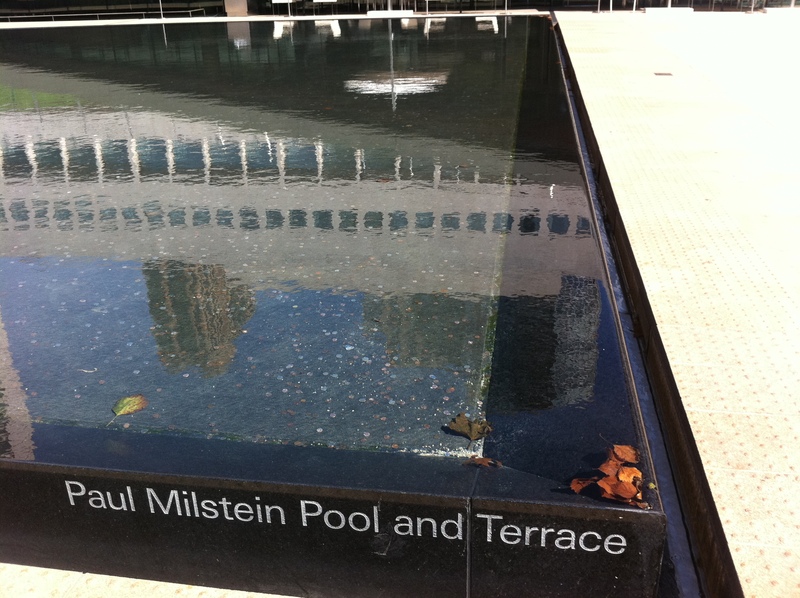 In particular, wedged between the Vivian Beaumont Theater (150 West 65th street) and the high-end restaurant Lincoln is the Paul Milstein Pool and Terrace. 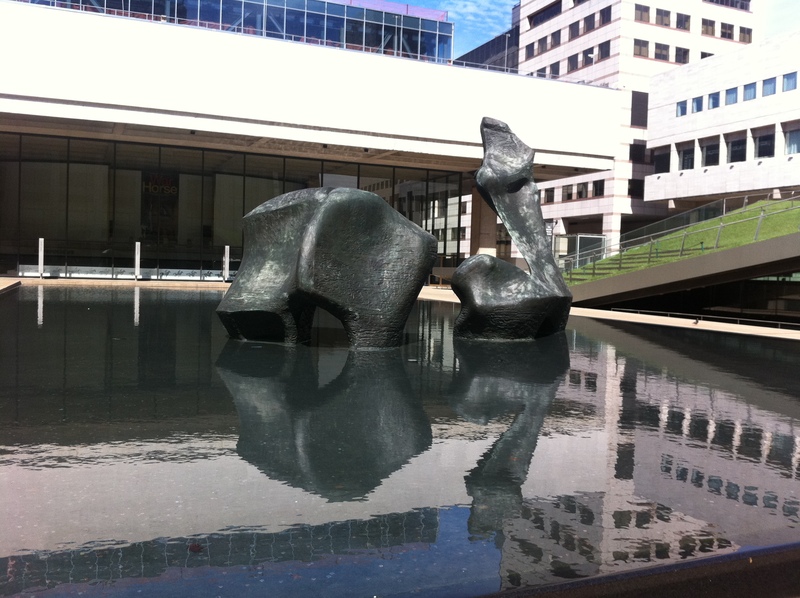 In the middle of the pool, you will see the Henry Moore “Reclining Figure” sculpture. 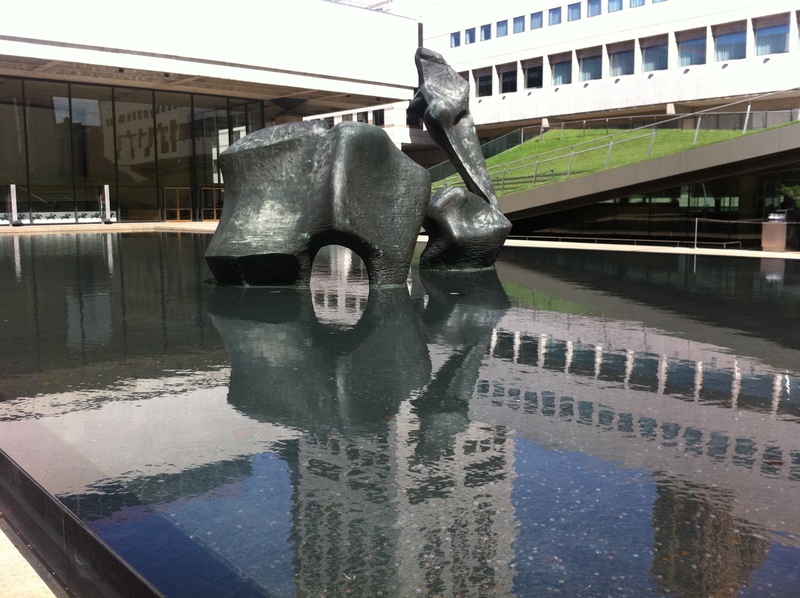 And, you can also view the sculpture from the vast, sloping green lawn on the roof of the restaurant Lincoln. Lincoln Center is right in my five blocks, so I took the opportunity to enjoy a walk through the Plaza this weekend during one of New York City’s first beautiful Fall days. I was hoping also to purchase a “turn-back” ticket for that evening to see War Horse, but it was sold out. Based on the incredible written and “word-of-mouth” reviews, War Horse is also a must see at Lincoln Center.